With turnover rates as high as 400% in the janitorial industry, personnel issues can be the source of massive headaches for managers. Hiring and training take time and money, plus a revolving workforce can compromise quality, safety, and reputation. Attracting and retaining the best cleaners possible starts with a sound recruitment strategy. Here are five strategies to help you build a rock-solid team. Be clear. 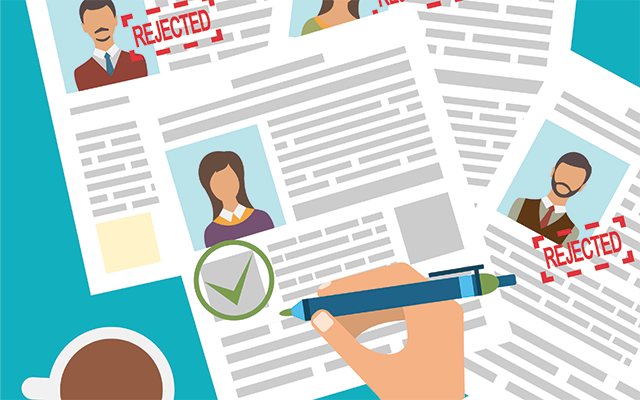 If your help-wanted ads tend to attract the wrong candidates, make some changes. Be clear from the start about what the job entails. Your job listings should include specifics about the tasks to be performed, the hours required, any special issues (such as heavy lifting, unusual equipment, or specialized training), and the pay rate. Giving the good, bad, and, ugly up front should keep many bad matches from applying. Screen applicants. Weed through your applications to create a shortlist of your favorites and conduct a brief phone interview with each. Ask a few questions about their qualifications and then give more details about the job. This simple step can eliminate applicants who are clearly unsuitable or who have unrealistic expectations, which will reduce the number of in-person interviews you’ll need to conduct. Meet them. Dividing the process into two steps will actually help you reduce the time you spend. After the screening process narrows down your list of candidates, invite the remaining applicants to an in-person interview. If possible, conduct it on the job site and let them meet your staff (you can ask them later whether the candidate would be a good fit on the team) and see the job in action. Do your research. There’s a lot of trust required in janitorial work, especially when workers are given unsupervised access to buildings during off hours. Criminal records checks and drug screenings, which can identify potential problems, are worth the investment. Take your time. When you have vacancies on your staff, the urge to fill the positions as quickly as possible is natural, but haste in hiring just perpetuates the problem. Employees who are a poor fit for the job won’t last long, and before you know it you’ll be back to square one. It’s not always easy to take your time when the work is piling up, but waiting for a good fit will pay off in the long run. In the meantime, consider filling in the gaps with temporary workers through an agency. It’s extremely frustrating to find and train a great worker just to see him leave in a few months. Turnover is a fact of life; circumstances change and people move on. But losing workers for preventable reasons is like throwing money out the window. Use these four tactics to convince your best workers to stay put. Invest in training. On Day 1, employees should receive a thorough education about all aspects of their job so they can feel confident in and proud of their job performance. They need hands-on tutorials of the tasks they’ll be performing, in-depth explanations of the tools and equipment they’ll be using, and some insights into the reasoning behind the methods. This comprehensive training can’t end there. Make it an ongoing part of the job, with refresher courses every year as well as each time you add a new client, product/tool, or procedure. Be consistent. Employees who are uncertain about their future at a company are more likely to jump ship. No one wants to come into work each day walking on eggshells. Clearly communicate your expectations and don’t change policies or procedures randomly without first telling employees and explaining the reasons. Avoid workplace gossip and share company news promptly; transparency is key. Provide good tools. Janitors who feel like professionals are more likely to think of their profession as a career and not just a job. Encourage that feeling by providing professional tools. Broken, faulty, or poorly maintained equipment is deeply frustrating for workers. It not only makes it difficult to do a good job, it also signals a lack of respect for the work and the employees. Offer extras. For workers to remain committed to their jobs over the long haul, they need to know their efforts won’t go unrecognized and unrewarded. If your budget is too tight to offer raises or other benefits, think of creative ways to show your appreciation. Reward top performers with small gifts, increased responsibilities and/or job titles, continuing education, time off, flex hours, or even lavish praise.